Hawick CC have a busy weekend ahead of them as they prepare to do battle against Boroughmuir to seal promotion to the East of Scotland Division Five on Saturday. While on Sunday the Teries take on Woodcutters in the final of the SCU Activity Presidents Plate at Inch Park in Edinburgh, a title they last won in 2013. 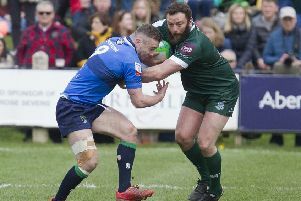 Ronan Alexander fell agonisingly short of his first ever century last weekend as Hawick recorded a victory against SMRH III to edge them closer to their goal. The youngster recorded a score of 98 before being bowled in the 37th over. South African Christo Beukes kept Alexander company for most of the innings, posting a not to shabby 68 as the travelling Teries recorded an impressive 221 for three. Stew Melville were let off the hook early on as Hawick dropped two catches in the same over but things picked up and the team sealed an 87 run victory as the hosts were all out for 134. Ryan Johnstone and Gary Alexander were top of the bowlers with three wickets each.